Looking for something cool and refreshing for your just-shaved skin? 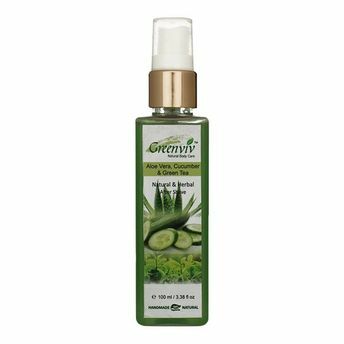 Try using this distinctively fragrant Greenviv Natural Aloe Vera After-Shave cream that will not only soothe and calm your skin, but also stimulate your senses with its refreshing notes. This fast-absorbing cream does not contain any alcohol-based ingredients that can irritate or burn your skin post shaving. In fact, it is a non-greasy blend of cooling agents that will alleviate any redness or dryness, and can be used on a daily basis.